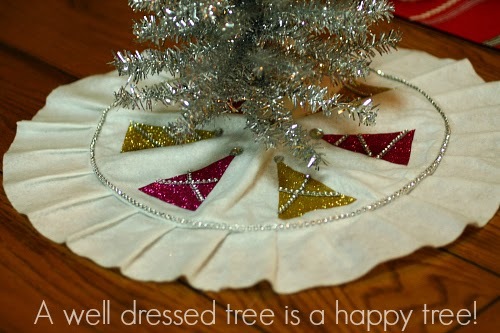 We found this plain white mini Christmas tree skirt in the dollar bin at Target. Score! Avalon has a tinsel tree in her room and it needed something to dress up the not so pretty stand. We put our heads together on a design featuring Tulip Shimmer Sheets and some sparkling trim. Four steps later, we had an adorable sparkling tree skirt. Fun...fast...and (retro)fabulous! It's just four simple steps! One: Cut trees. We used three pink and three gold. 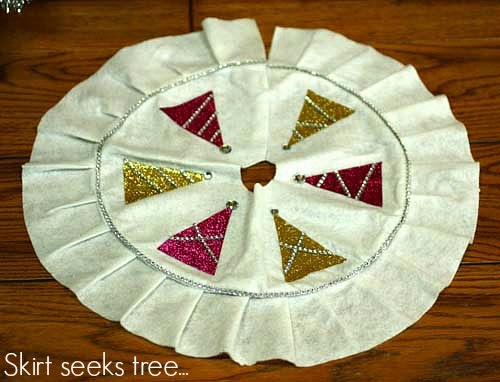 Two: Use parchment paper or cotton fabric to protect the transfers while ironing. Set iron to the appropriate setting for the fabric on the skirt, ours was acrylic. Iron the transfer on to the fabric moving the iron in a circular motion, check to be sure it's on there completely, if not iron again. Three: Glue trims on tree applying a thin bead of Tacky Glue on back of trim with a toothpick. Four: Use toothpick to lay a thin bead of glue around bottom center of skirt and press trim in place. Allow glue to dry and you're ready to roll! 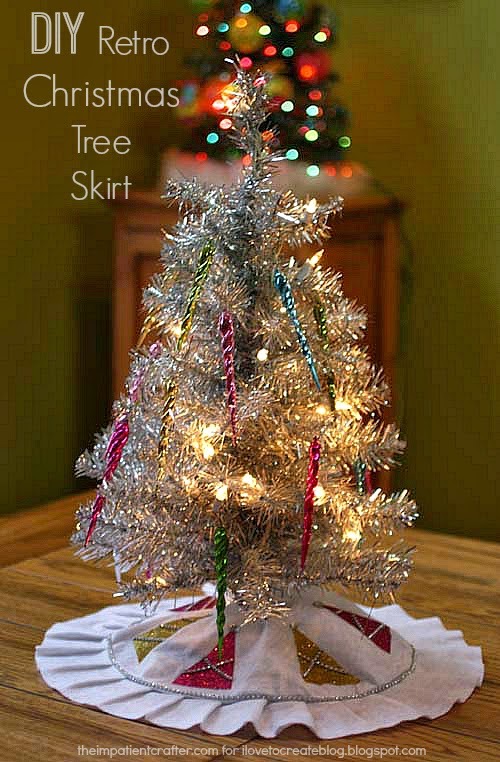 How would you decorate your mini-tree skirt? We'd love to know! Tell us in the comments. But don't stop there, come join the crafty conversation on the iLoveToCreate Facebook Page. 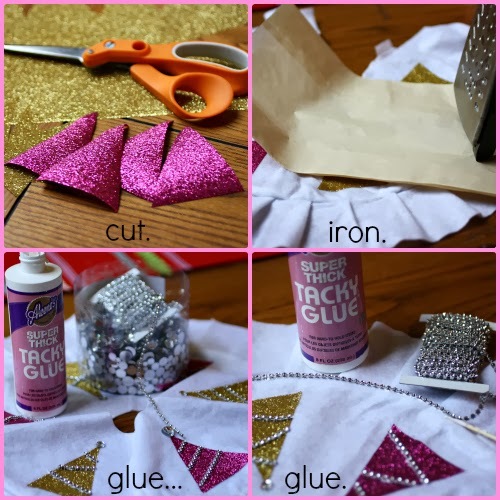 Visit me at The Impatient Crafter for more quick and easy DIY!